Previewed at: Dendy Opera Quays, Sydney, on 28 March 2015. David Lan, the artistic director at the Young Vic theatre in London, maintains that the National Theatre Live broadcasts brings theatre to many people who can’t afford to attend the productions - either financially or logistically - and therefore opens up the experience for all. If you’ve ever attended any of these screenings, you’ll appreciate his statement. How fortunate we are to experience the best plays from the UK beamed into our local theatres at a vastly reduced price to a West End theatre ticket. The most recent play on offer is Arthur Miller’s A View From The Bridge and it’s been lauded by British critics as “powerful, outstanding” and “magnetic, electrifying and astonishingly bold.” It certainly holds up to all of those superlatives. Set in the Red Hook docks area in Brooklyn in the 1950s, Miller claimed that he wrote the play after hearing the story related to him by a lawyer and, indeed, he uses a similar figure to narrate his drama. We quickly learn that the Italian-American longshoreman, Eddie Carbone (Mark Strong) who is husband to Beatrice (Nicola Walker) has an unhealthy fixation for his niece Catherine (Phoebe Fox), who in turn adores Eddie, but is both immature and naïve. The arrival of a couple of Sicilian cousins, Marco (Emun Elliot) and his brother Rodolfo (Luke Norris), alters the tenor of the close-knit family. Catherine falls in love with Rodolfo and Eddie is unable to control his jealousy and sets out to destroy the relationship. The situation is further complicated by the fact that the cousins are illegal immigrants desperate to find work on the docks, having left post-war Italy because of their beleaguered country’s lack of employment opportunities. There’s a big difference in their circumstances however, as Marco has a wife and family to support and hopes to save enough money in “three, four, five or six years” to return home a rich man while Rodolfo is a single man with no strong family ties back in Sicily. He is desperate to become a US citizen and has no intention of returning to the old country. Miller wrote the play the year before he married Marilyn Monroe and it was reprised during the year of his marriage and one of the major themes it covers is obsession; it makes one think of the possibility that Miller was addressing one of his own foibles, drawing from the well of his own soul to deal with Eddie’s dark passion. A broader concern the play deals with are the various ways people adapt to immigration - Eddie professes to be happy to share his little piece of the American Dream with his cousins until they appear to be taking something from him that he regards as his own. Sound familiar? In this case, the parallels are not very far removed from the present day, when one looks at the treatment of so-called illegal immigrants in this country. A View From The Bridge makes for uncomfortable viewing, not for the performances, which are superb, but the content, which is achingly prescient. 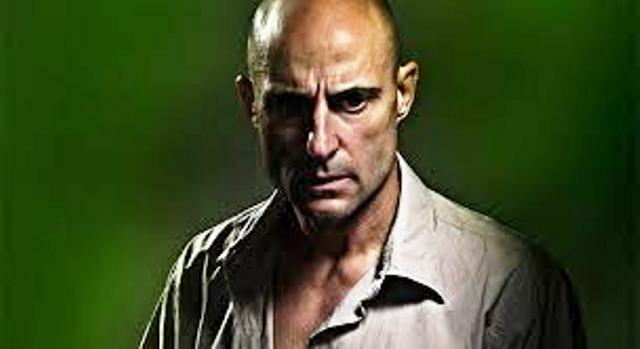 Mark Strong is simply extraordinary - he is Eddie - and he accomplishes the difficult task of making us feel sympathy for this flawed, homophobic anti-hero. Nicola Walker, recognisable from her many TV roles, is almost as strong as the longshoreman’s long-suffering but astute wife and Phoebe Fox brings all the complexity of Catherine’s girl/woman vividly to life. The controversial Belgium director, Ivo van Hove, described Miller’s play as, “like an accident that you see a hundred metres before it happens”. On its opening night in the West End the performance received a standing ovation, not a far cry from the reaction it got at the preview screening here. Do not miss this session at the cinema, it’s powerful and pertinent.